Zenith Technologies and Werum IT Solutions have formed a global partnership to support pharmaceutical companies with the implementation of manufacturing execution system (MES) technology to improve production performance. The collaboration brings together Werum IT Solution's MES PAS-X software, which is designed to increase efficiency, improve productivity and meet regulatory requirements during pharmaceutical manufacturing, with Zenith Technologies' ability to integrate systems and provide on-the-ground automation technical support. The PAS-X software is used by the majority of the world's top 30 pharmaceutical and biotech companies but also by many regional and mid-sized manufacturers. 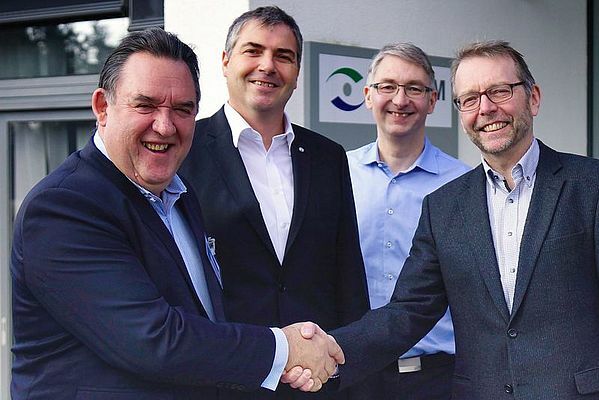 The partnership, which was signed at Werum's headquarters in Lüneburg, Germany, makes Zenith Technologies an Endorsed Service Partner of Werum IT Solutions in both the USA and Europe. Zenith Technologies will support Werum customers during all MES implementation phases, delivering comprehensive support and consultancy services that complement Werum's manufacturing IT solutions. "We are delighted to partner with Zenith Technologies," says Torsten Isenberg, Senior Director Services at Werum IT Solutions GmbH. "As an Endorsed Service Partner, Zenith Technologies has the knowledge and experience required to be part of our PAS-X service partner program. Our main objective is to ensure a high level of support for our customers through reliable, experienced and certified partners."